Wonder Boys is the terrific little film that director Curtis Hanson made after his terrific big film, L.A. Confidential. Wonder Boys received a DVD rerelease last Tuesday (No Blu-ray disc yet. Boo. ), so we all have the chance to experience this special little film, some of us for the first time. The Plot in Brief: College Professor Grady Tripp’s (Michael Douglas) first novel was a critical and commercial smash; in the seven years since its publication, he has become a campus legend. His literary agent (Robert Downey, Jr.), tired of waiting for Tripp’s follow-up book, pays a visit to campus demanding to see the manuscript. All hell breaks loose when the various twisted paths of Grady’s life come together in this single, memorable weekend. Two loyal students (Katie Holmes and Tobey Maguire) try to help Tripp, but they only make matters worse. Fortunately, the college president (Richard Thomas) does not know that Tripp is sleeping with his wife. And shot his dog. I just realized that Wonder Boys has both Iron Man and Spider-Man in it! Cool. When I first saw Wonder Boys some thirteen years ago, I was struck by its uncanny ability to capture the feel of a college campus. I do not mean the standard film version of college. I mean the much subtler, harder to capture tone of what college really looks and feels like, the undergrad days that I remember (though those memories are now thirty years past), the youthful sense that certain evenings are both endless and filled with possibility. The film captures that zeitgeist perfectly. The film itself borrows the structure of a classic farce, though given Grady Tripp’s love of weed, it is slowed down as if seen through a haze of memory and marijuana smoke. Wonder Boys is based on a novel, and I do not know about you, but I can spot a film based on a novel right away. I do not want to fall back on the cliché that films based on novels are more literary, but they do have a distinctive, more pronounced narrative structure; they maintain a stronger overall sense of tone; they pay more attention to the periphery of the action; they spend more time on minor characters; and they unfold at a more leisurely pace. Michael Chabon wrote the novel; Steve Kloves wrote the screenplay. Grady Tripp: I don’t know. I’m still trying to figure out how to tell the Chancellor I murdered her husband’s dog. Grady Tripp: Trust me, James, when the family pet’s been assassinated, the owner doesn’t want to hear one of her students was the trigger man. Bob Dylan wrote the film’s featured song “Things Have Changed.” Wonder Boys director Curtis Hanson also directed the music video and took the unusual step of filming Dylan on set, using props from the film, and then intercutting the new footage with footage from the feature film to make it look like Dylan was an actual character in the film. At the conclusion of the music video, Michael Douglas even lip-synchs a few lines. I have always liked the song a lot; it won both the Oscar and Golden Globe that year for best song. The cast is uniformly excellent. Michael Douglas does his best work here in decades, playing against type. Rip Torn plays what he has always played best, an irredeemable prick. This is one of those Robert Downey, Jr. performances (like Soapdish) where you watch and wonder if he was chemically altered during the shoot. (For Wonder Boys, I would have to say the answer is “Absolutely he was.”) Some of my favorite character actors also appear: Frances MacDormand (Fargo’s Marge Gunderson), George Grizzard (Tootsie’s amorous doctor) and Philip Bosco (Quick Change’s letter-of-the-law bus driver) and Alan Tudyck (Dodgeball’s pirate) and Jane Adams (Eternal Sunshine of the Spotless Mind’s best friend). Yowsa. FULL DISCLOSURE: Not every subplot works. All the sturm und drang of the Maguire character’s background and the mystery of Downey Jr.’s weekend date come across as filigree – unnecessary plot threads better suited to a lesser, dumber movie. Wonder Boys only masquerades as a farce; it is actually a character study, and the film is at its best when it sits back, takes a deep toke, and simply observes these wonderfully specific people interacting with each other. 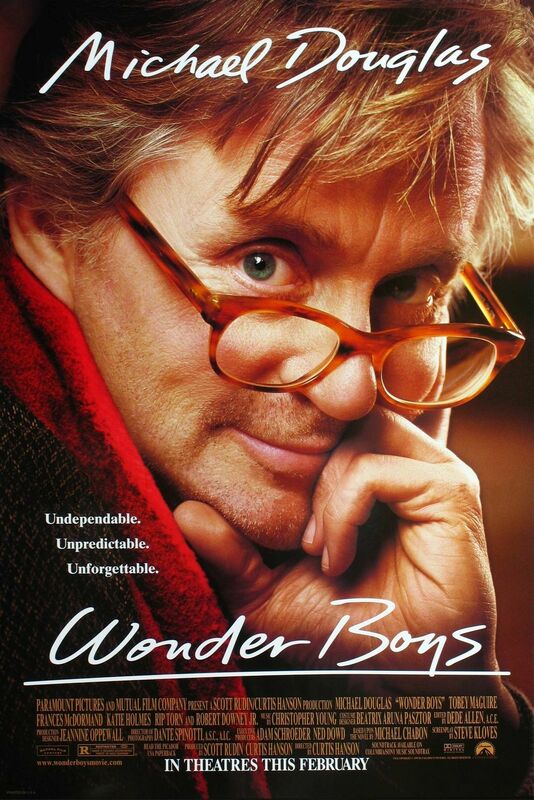 Wonder Boys knows in its big heart that human beings are fascinating. We all go to the movies to see them. The problem with many current films is that they do not feature recognizable human beings: only one-dimensional superheroes, marketing concepts masquerading as men, and nincompoops. BONUS: Also Unsung and rereleased today is Nobody’s Fool, a terrific Robert Benton film featuring one of the all-time great Paul Newman performances, Jessica Tandy’s penultimate screen role, and a surprisingly against type supporting performance from Bruce Willis. Newman has a heartbreaking monologue in the middle of the film that is worth the price of the disc. This film was a labor of love for Robert Benton, the screenwriter of Bonnie and Clyde and the director of Kramer vs. Kramer and Places in the Heart. Nobody’s Fool and Wonder Boys would make a great double feature; they both have the same literary tone and the same interest in the peculiarities of human behavior. So glad you wrote about this movie. For me it is one of those ‘little movies’ that captures a half-dozen of the most interesting actors around at their best. What happened to the Katie Holmes who appears in this movie? She’s simply adorable and plays a great, wise foil to Douglas’ curmudgeon. In most movies she’d be sleeping with his character, not just renting a room from him. You wish she’d get back to acting. Lots of the story seems too perfect, the way it works itself out, but I find the movie very rewatchable. I really like the snow when McGuire’s James is first discovered outside the party and the rain throughout most of the rest of it. I like James’ knack for knowledge of celebrity suicides (even though they go in trouble over the George Reeves mention). It’s a great example of show, don’t tell. Even though they do both in the scene. I think its Holmes’s character who tells the others about his expertise on the subject. Lastly, this film has always reminded me of one of my favorite books, The Catcher in the Rye. It captures that prep-school, or in this case ‘college’ vibe in the very way you describe. That melancholy desire to be odd yet be accepted by others that creeps into your life around high school/college. The other film I’ve always felt that about is The Ice Storm from 1997, which just happens to feature McGuire and Holmes in similar roles. 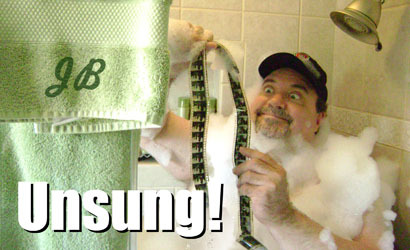 And to add to what you offered, the film features Spiderman, Iron Man, Rachel Dawes and now… Liberace! I absolutely love this movie. 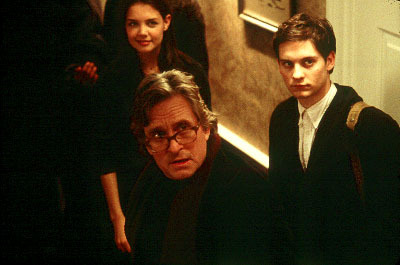 The Game was the movie that put Michael Douglas on my radar when I was in college, but Wonder Boys made me a fan.